What exactly does truancy mean? The term truancy refers to an unexcused absence at school. 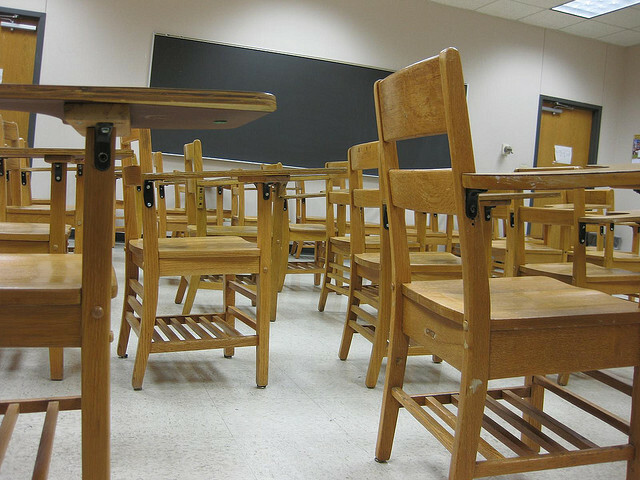 States enact laws, compulsory attendance laws, that determine the required age for a child to begin school, the legal dropout age and the number of unexcused absences for a minor to be considered “truant.” Note – this doesn’t have to be the entire school day. 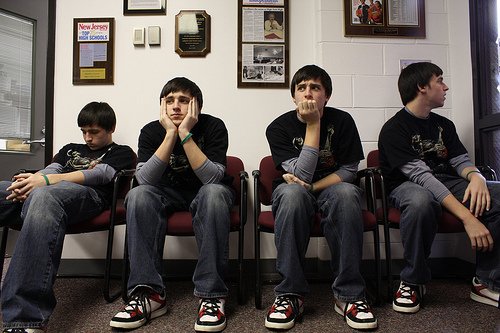 Ditching just one period but multiple times can result in truancy consequences. When can truancy be referred to juvenile court? First, we recommend reading your school’s student handbook about attending and truancy. You might be able to read the handbook on your school’s website. It should spell out the specific rules and the consequences for too many unexcused absences. You can also speak with the school’s attendance officer and/or principal about this. Once the number of unexcused absences for a student reaches a certain number determined by the state’s compulsory attendance law and/or the school district’s rules and policies, school officials have the discretion to either deal with the student through school consequences like detention or even suspension or to refer the matter to juvenile court. School officials that make these referrals may include school truancy officers, teachers and principals. Are all absences called in by a parent considered excused absences? Not necessarily. The school district typically establishes acceptable reasons for an absence which will make it an excused absence. Again, refer to the student handbook as there should be some examples listed like illness, death of a loved one, a pre-approved family or educational vacation that results in missed days. Keep in mind that the school has discretion here. In some cases, absences have been considered unexcused even when a parent called it in or when the minor had a doctor’s note. If school officials believe and have some evidence that the student (and possibly the parent) are not being honest, they may consider the absences unexcused. What’s going to happen when you go to court? If this is your first time going to court for truancy, you may be placed in a diversion program and have to complete some community service, pay a fine and attend a class or counseling. Chronic truancy may result in having to repeat a grade. In some states or counties, the court gets the parents involved and requires them to complete parenting classes, attend support groups, etc. Can parents be held responsible for their kids’ truancy? Yes! Please remember this……yes, your parents can get in trouble for your time spent hanging out at the park, a friend’s house, the mall, etc. during school hours. Several states now have laws that hold parents accountable for their children’s truancy. The purpose of these laws is to force parents to play an active role in their kid’s education and to take truancy and attendance laws seriously. In the states that have such laws, parents may face fines and even jail time. Keep this in mind as you don’t want your parents to go to jail over your decision to ditch school. Parents or guardians could contact the school’s attendance officer or principal to discuss options when a minor is refusing to go to school. Hi. I won’t say my name; I’d rather stay unknown. I’m a 13 year old kid that keeps skipping school, my mom thinks I might be mentally unstable, and my dad doesn’t really care. I also have to go see a therapist every few weeks, and I’m struggling to fight the urge to skip school, but it’s hard when my mom talks about how bad I am to others, making me…. pissed off, I guess. Is the problem with my parents or with me? Dear Conflicted: You are not the problem, but you may be adding to your problems by skipping school and disobeying your parents. Since you mentioned a therapist, we suggest you talk about this with that person. Something is in the way of getting your education and enjoying the benefits of going to school. Is it bullying, personal hygiene, or your clothes? Whatever it is, it needs to be addressed so you can return to school and enjoy it. Don’t keep your personal issues to yourself. There is always someone you can talk with such as a counselor at school, your therapist, or other adult you trust. Good luck. Hello my name is Cristina….I have a problem that I need to solve…I have missed many days of schools and now have to go to court? My mom is upset and doesn’t know what to do…My question is do I have to pay any money for what I have done and would my mother have to face any problems during to this problem I have caused? Dear Cristina: It is unlikely you’d be ordered to pay a fine, but it’s up to the court and it’s based on state laws that apply to truant children. When you go to court for this, the process will be explained to you. If you admit missing school, you could be ordered as a consequence to attend a class, or complete some community service. If the truancy continues, your mother could face a penalty since she is legally responsible for your education until you turn 18 or graduate from high school. Bottom line, no more unexcused absences! Good luck. My car was stolen the beginning of December and as a single mom life gets bad difficult when you have no way of going with two kids. I also got laid off because of no way of going. My son suffers from chronic migraines, and since I had no way to get him to the doctor, I’ve started using the Doctor on Demand where you pay $40 and the doctor comes to your home through video chat for your appointment. He then sends scripts to my pharmacy, and emails me the doctor excuse for however time he wants my son out. My sons school nurse emailed me today and told me if I do not sign the HIPAA form giving away my sons private medical files and history, that they will keep his excuses all unexcused which means ID go to jail! I responded that I have given them Doctor on Demands numbers to call and verify that my sons excuse was real, but that I don’t want to go against our beliefs and give out his private medical info. That they can ask me for any medical history or info they need. Is this legal for them to do? I’m a widowed, single mom just doing my best but wrong is wrong and if I go to jail, my kids have nobody here. Please help. Dear Michelle: Askthejudge.info is an education website for and about teenagers and how the laws affect them. We do not provide legal advice to adults or teens. We suggest you speak with a lawyer who practices either school, education or health law. Some lawyers offer free initial consultations, so ask about this if you call one. Take a look at our Teen Help Network for lawyers where you live. Good luck.